In those days, the Industry was mostly looking to create open cast mines – huge pits, and tailings dams – like what is now at Waihi. Communities from across the area worked together to support each other in keeping the various companies from getting established, using a range of techniques, some now infamous thanks to the film the ‘Z Nail Gang’. Communities were also divided, as some bought the mining company propaganda about jobs and prosperity. 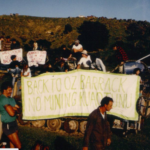 Today, we can all see just what a lie that is – Waihi, NZ’s 2nd largest mine is just down the road, with its jobs one day and gone the next when the gold price drops, its accidents, its huge hole right in the heart of the town, a maunga lost. 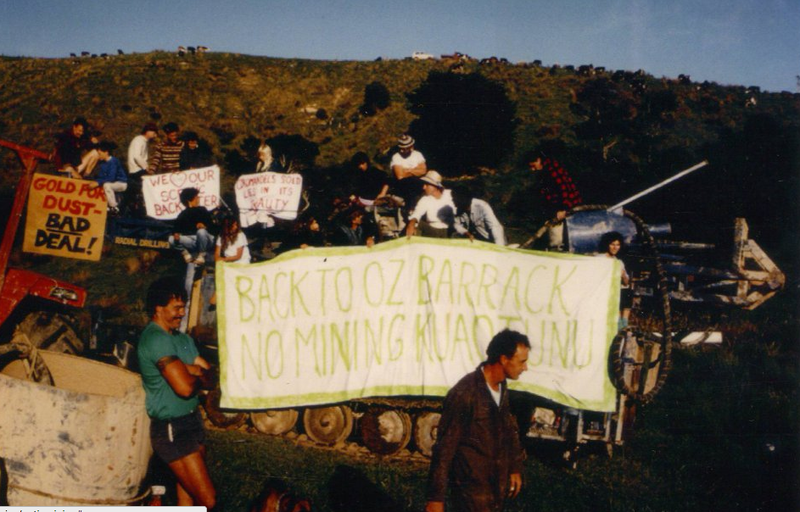 A town with high unemployment (compared to the neighbouring towns – and the towns of the Coromandel), not a lot of wealth and a huge toxic legacy – a horrific sort of dunk bucket – poised behind the town in the form of two tailings dams – all the more scary as they are on the significant Kerepehi Fault. And even more scary when you realise that there are no specific specifications for such a dam – they fall under the same regulations as a farm dam. But if those dams go it wouldn’t just be Waihi that suffered – the rivers would die, and being costal the oceans would be hugely impacted as toxic sludge came down into all the waterways. And today, even though Watchdog – driven by our communities – saw them off before, the industry are back. Again. They are now looking to mine under us – to literally undermine us. They know we don’t want it. 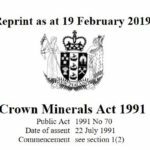 Sadly, Schedule 4 doesn’t include underground mining – so the conservation land of Coromandel and Hauraki, and all other land, is still very vulnerable to mining. There are a range of highly destructive methods that are used in modern mining, and, as with open cast, it is a heavily industrial activity. The Industry often crows that ‘environmentalists have no proof that our methods impact wildlife and ecosystems’… well, in a way we do. We have the houses in Waihi that have cracked plaster work from the blasting underneath. The residents that desperately want to move but have unsaleable houses. And we have this amazing human skill, called logic, that tells us that huge explosions going off underneath your home, whether you are a tree, a person, a frog or a kiwi, is going to have a huge impact – if it’s a one off let alone if it is 3 times a day 364 days of the year. How would you like it? We are gearing up for a huge campaign – the Industry are rallying, with all their wealth and resources. But we know we can win, because we have before. But we need to do it together. If you can, give us money monthly, $20, $10, it all helps us to keep you up to date and keep them out!